Press release published concerning the funding of AsMama, Inc.
[Organizations chosen] Organizations to be funded by the Japan Venture Philanthropy Fund (JVPF) have been chosen. We are pleased to announce that JVPF partner with AVCJ (Asian Venture Capital Journal) this year again. AVCJ is the leading source of information on private equity and venture capital activities in Asia. JVPF has been partnering with AVCJ as a philanthropy partner for two years. AVCJ wii hold two forums in June. If you are interested in the forums, please see below for the details. Date : 18th, June 2018. ※JVPF donator and pro bono partners can get special discount (10%). Thank you for your donation to JVPF. Could you tell us why CVC Foundation decided to choose JVPF? Which part of JVPF resonated with you? SIP supports organizations that help disadvantaged children and young people; this is a very good match with the focus of the CVC Foundation. Since inception in 2011, we have supported over 25 non-profit organizations in 15 countries where CVC Capital Partners has offices. We have provided grant funding to other venture philanthropy organizations in Hong Kong, Europe and the USA. One of our colleagues works on pro bono activities as a member of SIP, which is the organization that operates JVPF, so he was able to connect us with JVPF. We are very happy to be able to help one of the first venture philanthropy funds in Japan. We feel very strongly that the idea of "venture philanthropy" has a strong social significance. How do you think venture philanthropic activities can impact the society? We have been making grants to venture philanthropy organizations around the world for the past seven years. During this time, we've seen a lot of examples of how the venture philanthropy approach has strengthened non-profits and how they have been growing continuously. It is also worth noting that with the venture philanthropy staff supporting the organizations with methods of business, these organizations will achieve an even bigger social impact. We have heard that venture philanthropy is more active in Europe than Japan. CVC was established in 1981 and has been growing as a private equity firm; what kind of relationship does private equity and venture philanthropy have in Europe? Venture philanthropy and private equity are very similar in its ideas and techniques, and they are said to be very compatible. However, while private equity firms invest for financial return, venture philanthropy organizations focus on improving non-profit organizations and helping them to scale up. How would you evaluate the venture philanthropy activities in CVC - in other words, the pro bono activities of CVC's employees? I believe that the CVC employees are taking initiatives to participate in pro bono activities and achieving great results. Specifically, they participate pro bono in areas such as strategic planning, operational improvement, IT systems, fundraising and legal advice. . There is a very good co-relation between the pro bono work and the actual business, so our employees are very motivated. How reassuring it is. Last, could you tell us what you expect from JVPF in the future? Continue to assist the non-profits in the current portfolio to maximize their social impact and the sustainability of their organizations. Find and select more non-profits that could benefit from SIP's funding and expertise. This was Ms. Marsden's first time in Japan. 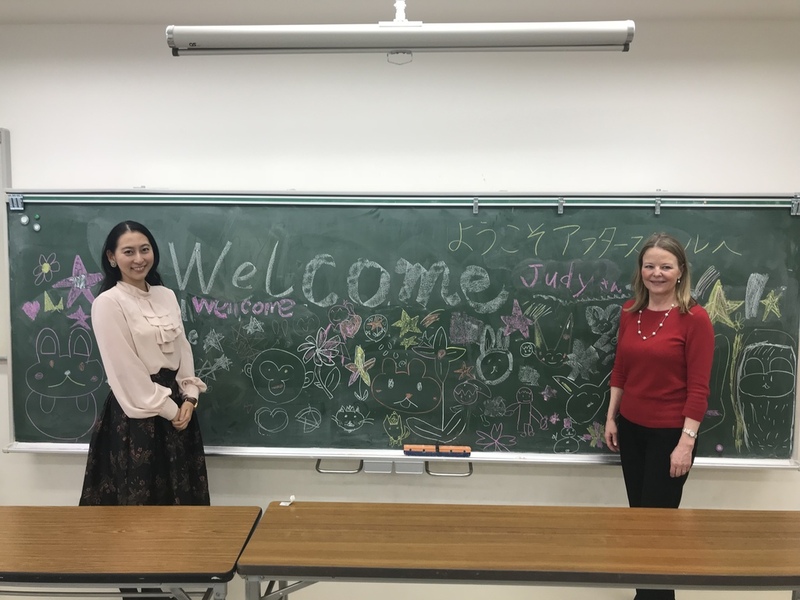 Tomoya Shiraishi and Hiroshi Nonomiya, JVPF's board members and co-representatives of Social Investment Partners (SIP), the organization that operates JVPF, welcomed Ms. Marsden and talked about their activities in Japan in the future. 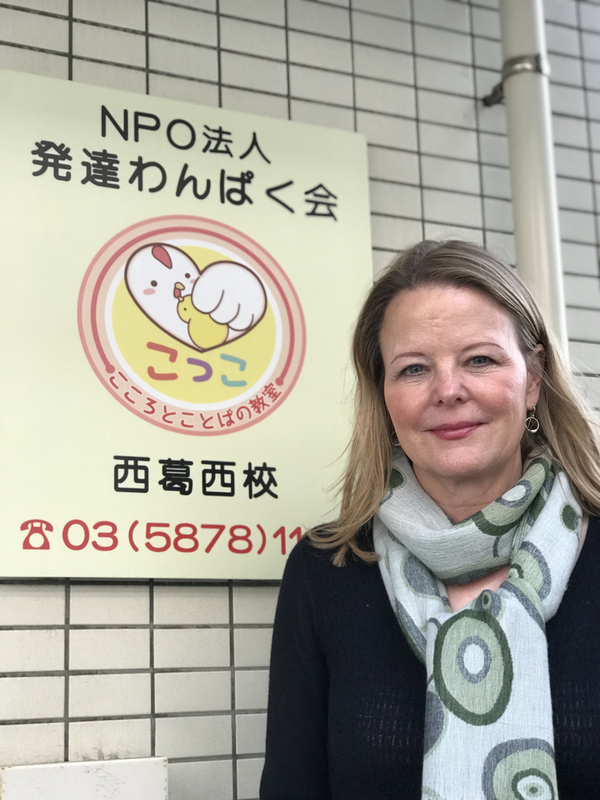 Ms. Marsden visited 2 organizations the JVPF supports; NPO Afterschool and Hattatsu Wanpaku Kai. Ms. Marsden was touched by the warm welcome she received from the children. At each visit, the representatives of the organizations explained what kind of social challenges they are facing and how they are working to overcome these challenges. As she saw how lively the children were at these organizations, she said, "these are such amazing initiatives and very meaningful to the society. I would like to visit Japan on a regular basis." Since its founding in 1981, CVC has been entrusted and invested a total of 7.1 billion dollars. As a private equity fund, CVC acquires corporations under the partnership of the management, supporting mid- to long-term increase in value of these companies. CVC has so far invested in more than 300 corporations worldwide, and within the current 50 companies CVC currently has investments employ 350,000 staff and have an aggregated annual sales of 10 billion dollars. The 2015 Annual Report includes articles on the new grant recipients this year, AsMama Inc. and NPO Hattatsu-Wankpaku-Kai. You can read about their efforts to find solutions for social issues and hear from both organizations about JVPF's managerial support as well. In addition, there are updates on the current activities of the existing grant recipients, After School and Teach for Japan. You can download the annual report from the following link. Please take a look. On this day, there will be annual reports on the grant recipients, a panel discussion for pro-bono partners and funding supporters, and so on. Please come and join us. ■Date and Time: Wednesday June 29, 2016, from 6:00 p.m. to 9:00 p.m.
■To request attendance: Please submit applications via the following URL. children with development disabilities and consulting, has been issued. This marks the fourth project for the Japan Venture Philanthropy Fund. A press release was published concerning the decision to fund AsMama, Inc. This will be the third funding project of the Japan Venture Philanthropy Fund, and the first done in an investment and lending form. The 2014 annual report has been completed. It includes round table discussions amongst JVPF members and representatives of funded organizations, the 2014 KPI results of "Hokago NPO After School", and more, giving this report a different nuance than the 2013 report. An introduction to the activities of Teach For Japan, a newly funded organization from December 2014, is also in-cluded. The report can be downloaded from the URL below. "Teach For Japan", which works toward the goal of improving children's learning environments, solving educational issues, and cultivating young people's leadership skills, has been chosen for 3 years of support funding starting in January 2015. In 2013, we could make a start on our activities to select the first grant recipient with your kind support. The report covers wide range of topics including the facts about Japan's social investment sector and informations on "After school," our first grant recipient. It would be our pleasure if you could read the report by downloading from the website below.